Solenoid valves are electric actuated on-off valves. They have a compact design. Some models are immune to mounting orientation. Compatible with a wide range of gases and liquids. Applications include flow control, water, process control, and chemical mixing. 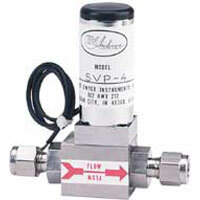 Solenoid Pilot Valve can be direct mounted to operate the SAV Seat Valve actuators. Suitable for use with air or other inert gases, the valve is supplied with a DIN connector and is fitted with a manual override. 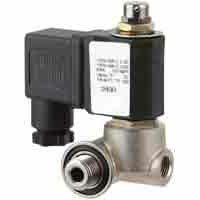 Proportioning Solenoid Valve is low cost and uniquely designed. Controls or regulates flow in proportion to a variable voltage input. Compatible with a wide range of gases and liquids. 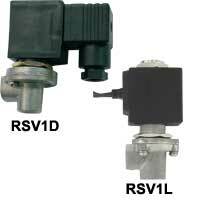 Pilot Solenoid Valve is used to operate the Series RDCV remote type diaphragm valve. Can drive all size diaphragm valves. 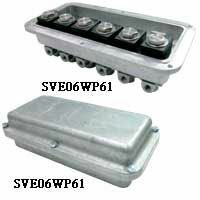 Solenoid Valve Enclosure is multi-valve enclosures for the RSV pilot valve. Offers a convenient weatherproof enclosure package with all solenoid pre-wired to a terminal block. Solenoid Replacement Coils electrically operate the SSV and SBSV solenoid valves. Field replaceable with compatible solenoid valves and come in a wide range of voltages. Brass Solenoid Valves – 2-Way Guided NC are compact, two-way guide type solenoid valves for air, gas, water and other liquid applications. Available in brass with a normally closed design. SS Solenoid Valves – 2-Way Guided NC are compact, general-service, two-way guide type solenoid valves for air, gas, water, and other applications. Available in SS with a normally closed design. Brass Solenoid Valves are compact, general-service, two-way guide type solenoid valves for air, gas, water, and other liquid applications. Available in brass with a normally open design. SS Solenoid Valves are compact, general-service, two-way guide type solenoid valves for air, gas, water, and other liquid applications. Available in stainless steel with a normally open design. NAMUR Mount Solenoid Valve is designed to easily mount directly to pneumatic valve actuators reducing the need for tubing, fittings or brackets, and lessens assembly cost. Designed for spring return actuators. Available in a variety of voltages.